For a little man who loves to push anything on wheels and keeps saying "dump everything" I decided to go with the construction theme birthday party this year. Best part of the day was when Ahaan sleepily murmured "Todaiiii.....Ahaan's happa day". It melted my heart to puddle. 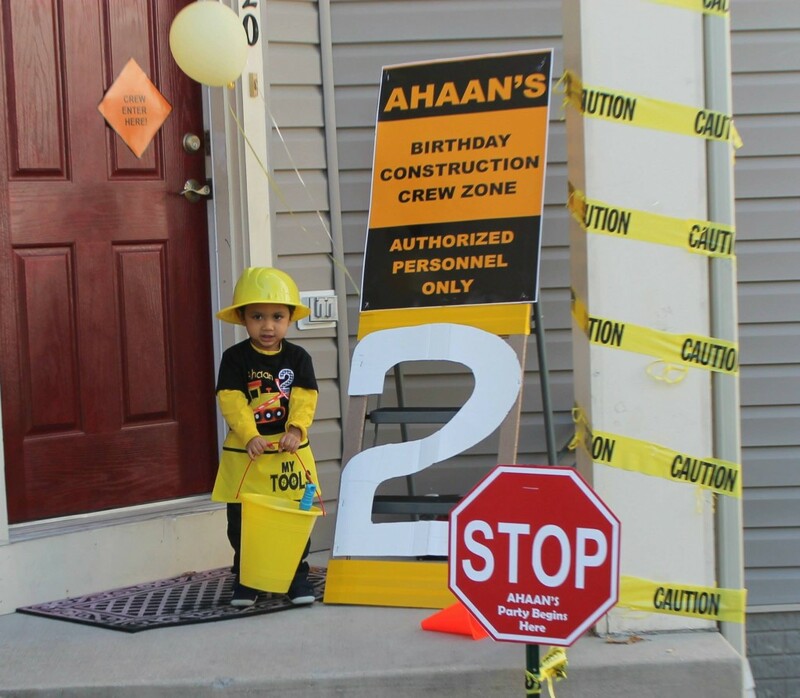 Little one's apron, hand prints, hard hats and door signs. Very cute..makes me long for the days when my son was little! I am a mom to the MOST active and hyper 4 year old munchkin man and I also work full time (I love my career!). My favorite thing to do is spending time with my small family, doing DIYs and decorating my home during my free time. I am also an avid Bikram yogi who is trying her hands in Aerial yoga.